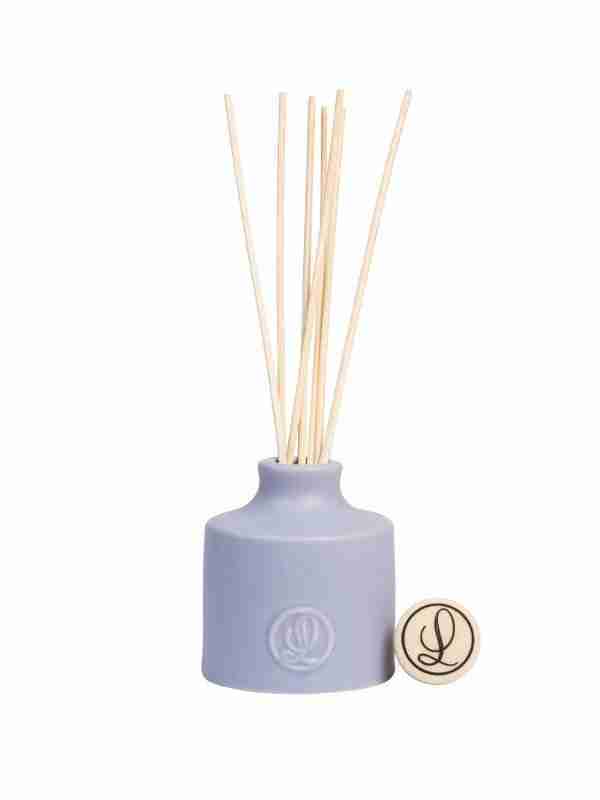 Our matte pale purple ceramic pastel diffuser, is scented with one of our most popular fragrances – Smoked Wood & Patchouli. Beautifully packaged in a white box with a clear window to showcase the product itself. We use only quality materials, from the premium fragrance oil, to the rattan reeds supplied. Want to spice up the mood? 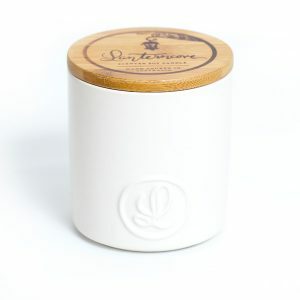 There is a timeless element when it comes to the scents and aromas in our scented soy candles and diffusers. 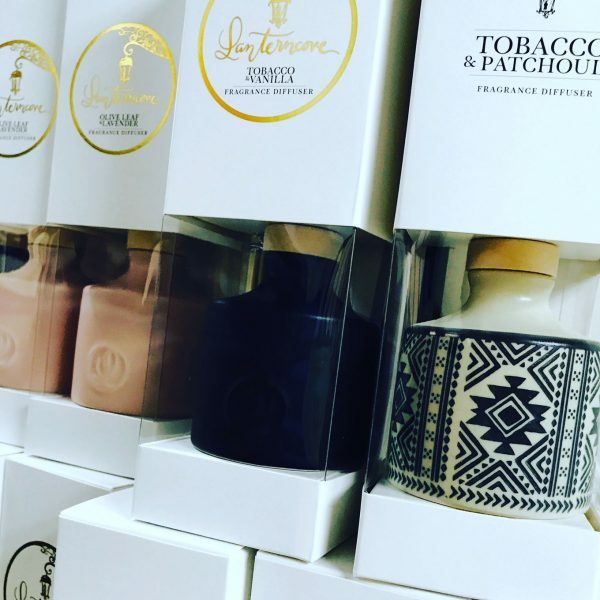 Although totally distinctive, all our scented soy candles and diffusers evoke an aroma that will transform every moment into ambient bliss. 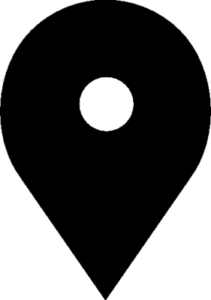 Following this guide will ensure that you get the best performance and burn-time out of your Lanterncove scented soy candles and diffusers. During the first burn of any container candle, it is crucial that the burn last long enough to melt the wax all the way to the edges; this prevents ?tunnelling? 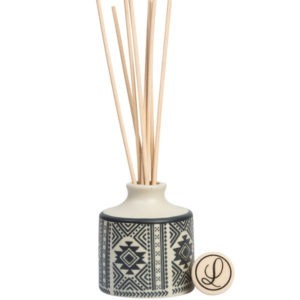 Our black patterned ceramic diffuser, is scented with one of our most popular fragrances - Tobacco & Patchouli. Beautifully packaged in a white box with a clear window to showcase the product itself. 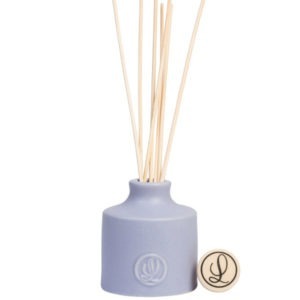 Our pink and blue ceramic floral diffuser, is scented with one of our most popular fragrances - Bamboo & Clover. Beautifully packaged in a white box with a clear window to showcase the product itself. 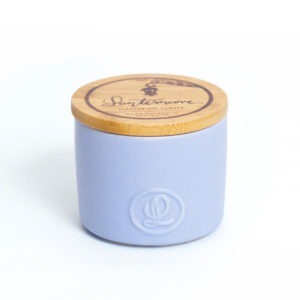 Hand-poured right here in Australia, this 8oz (226g) silky-matte blue ceramic candle has been filled with our rich, creamy soy wax and combined with the comfortingly rustic fragrance notes of Smoked Wood & Patchouli. 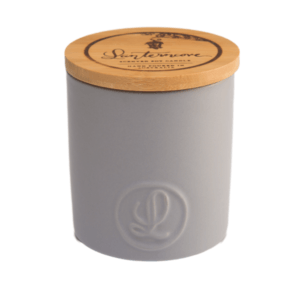 Hand-poured right here in Australia, this 14.5oz (411g) silky-matte grey ceramic candle has been filled with our rich, creamy soy wax and combined with the blissful fragrance notes of Ebony & Smoke. 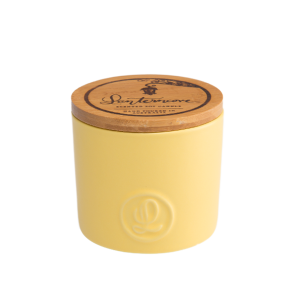 Hand-poured right here in Australia, this 8oz (226g) silky-matte yellow ceramic candle has been filled with our rich, creamy soy wax and combined with the blissful fragrance notes of Lemongrass & Lime. Our red and green ceramic floral diffuser, is scented with one of our most popular fragrances - Cardamom & Tonka Bean. Beautifully packaged in a white box with a clear window to showcase the product itself.